Parking: Westminter City Council car park at China Town & Poland Street. NCP at Newport Place or Wardour Street. 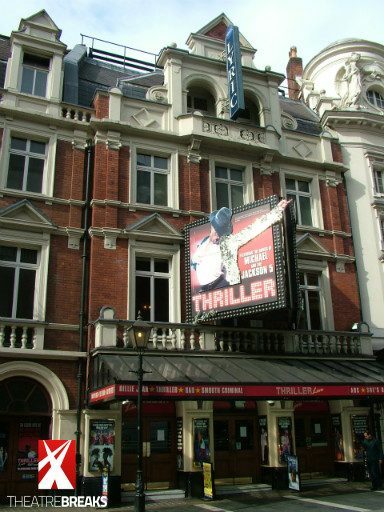 Theatre bars – 4: Foyer (for Dress Circle), Stalls, Upper Circle and Balcony. Thriller – Live, Eddie Izzard (Stripped), Loot, Hairspray, The Night of the Iguana, Cabaret, Death of a Salesman, Beautiful and Damned, The Constant Wife, Cat on a Hot Tin Roof, Brief Encounter, An Ideal Husband, Ain’t Misbehavin’, Five Guys Named Moe, Steel Magnolias.